According to the Centers for Disease Control and Prevention, 11 percent of American children between the ages of 4 and 17 have been diagnosed with the behavioral disorder known as ADHD. However, did you know that just because your child exhibits symptoms of a hyperactive behavioral disorder, the actual problem plaguing your child might be related to the way he or she breathes while sleeping? Continuing medical research has found that children who suffer from some form of a sleep breathing disorder, such as sleep apnea, often manifest symptoms that mimic ADHD. Doctors in the United Kingdom studied approximately 11,000 children from the time they turned six months old until they reached their sixth birthday. Evaluated over that time period, the children who snored at night or showed other symptoms of sleep apnea such as interrupted sleep also were found to be 40 to 100 percent more likely to have symptoms of an attention disorder. As ADHD seemingly has become more prevalent—with a 22 percent rise in the number of diagnoses between 2003 and 2007—one is left to ponder whether sleep apnea also could be a culprit in the rise of the number of diagnosed cases. Perhaps your child has been diagnosed with ADD or ADHD, but therapy and medications are doing little to change the behavioral issues. If sleep apnea is the actual cause of your child’s ADHD symptoms, many methods of treating ADHD actually can make matters worse; one common reported side effect of many ADHD medications is insomnia, which only will intensify any existing dysfunction in your child’s sleep. What happens to your child when sleep apnea occurs? Sleep apnea patients encounter blockages of the airway during sleep. These blockages may be partial or complete, either impeding the flow of air or stopping breathing altogether momentarily. When a blockage occurs, the brain sends signals to the body that breathing has been disrupted. Your brain slightly awakens—although usually not becoming consciously awake—so that breathing resumes. Each time a sleep apnea episode occurs, the sleep cycle is disrupted, and the sufferer is deprived of the mental and physical restoration that occurs during the deepest stage of sleep. This restoration is crucial for the proper growth and development of your child. The more advanced a case of sleep apnea, the more often these blockages occur. Symptoms of sleep apnea in addition to loud snoring include choking or gasping for air during sleep, restless tossing and turning, and even bed-wetting. While chronic fatigue is a common symptom of patients with sleep apnea, children with sleep apnea also may show signs of hyperactivity, as well as mood swings, problems focusing, and difficulty getting along with other children. Orthotropics® can help children with sleep apnea find relief—and the restful sleep they need. Developed more than 50 years ago by Dr. John Mew, Orthotropics® is a technique that seeks to encourage proper facial growth guidance through the use of oral appliance therapy. This involves wearing a mouthpiece that is customized from impressions of the teeth and mouth of your child, making sure that there is a secure, comfortable, and effective fit. In the case of children with sleep apnea, wearing this oral appliance stimulates bone growth in the jawbones, encouraging a wider dental arch, and guides the lower jaw forward, thereby increasing the airway and helping to encourage ideal oral resting posture: with lips together, teeth together, and the tongue resting gently against the roof of the mouth. A low lying tongue that results in an open mouth posture and mouth breathing can lead to jaws that are too far back in the face, which in turn is a risk factor for sleep apnea in children. Other benefits of Orthotropic® treatment include encouraging the ideal growth of the face and jaws, making for wider dental arches and a more open airway. This is why working towards a wider palate and proper rest oral posture are crucial when treating pediatric sleep apnea. 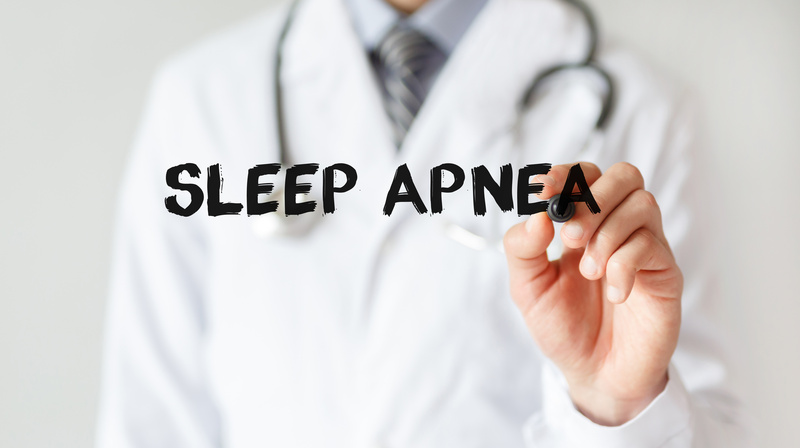 Remember, sleep apnea is a serious medical problem that must be diagnosed and treated by an experienced and well-trained professional such as a doctor or dentist experienced in this area. Just hoping that sleep apnea will go away on its own is the worst decision you can make for your child. The consequences could include a continued decline in performance at school and, over time, living with untreated sleep apnea magnifies the risk of several chronic and even life-threatening ailments such as heart disease, hypertension, obesity, depression, and even certain forms of cancer. If your child is showing any combination of the symptoms above, then there is no time to wait! Orthotropic® treatment is most beneficial when applied to a child who is between the ages of 5 and 9 years old, as this is a crucial stage of overall growth and development. To learn more about the benefits of Orthotropics®, visit the website of the North American Association of Facial Orthotropics at orthotropics-na.org or send an email to naafosecretary@gmail.com.